Ramtech has released a new video that highlights the recently completed modular construction of the instructional and support facilities for the West (TX) ISD’s replacement middle and high school campus. Narrated by Dr. Marty Crawford, the District’s superintendent of schools, the video highlights the modular school buildings that are located on the West Middle School site which was destroyed by the massive fertilizer plant explosion on April 17 of last year. The temporary campus is comprised of 28 separate structures including 17 new relocatable modular buildings that were designed, manufactured, and installed by Ramtech. 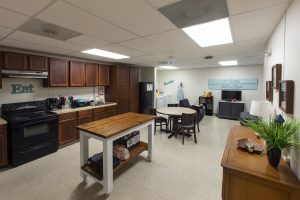 The 69,776 square foot modular construction project includes three 10-classroom buildings, four computer and science labs, two locker room buildings, an administrative office, cafeteria, band hall, and a life skills building. 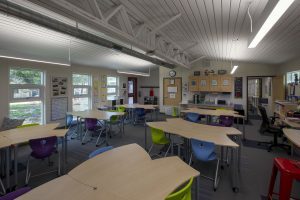 Ramtech has released a new promotional video highlighting our line of multiple classroom options for facility additions and expansions at public and private schools. The video provides an opportunity for educators to view the benefits of using our relocatable modular building designs which range in size from 4 to 16 classrooms and can be used to meet a wide variety of temporary or long-term use requirements. The video is part of our integrated promotional campaign designed to highlight a standard floor plan six-classroom modular wing addition that was installed as a demonstration facility adjacent to our corporate headquarters and manufacturing plant. The video will emphasize our abilities and show prospective school clients how they can meet their facility requirements using our customizable multiple classroom buildings. As a full service design-build construction company, we can provide them with a first-hand look at what we can be done using our approach to relocatable buildings and permanent modular construction. 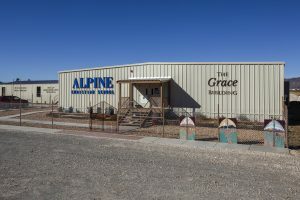 For over 30 years we have provided public, private, and faith-based schools throughout the Southwest with portable classroom buildings through an inventory program that typically keeps over 50 two-classroom modular buildings (both with and without restrooms) on hand for immediate delivery. Available using sale or lease options, our program has enabled us to become the largest supplier of portable classrooms in the Southwest. During 2012, Ramtech provided nearly 100 portable classroom buildings to public, private, and charter schools in a five state area. The primary advantages to the two classroom modular building is they require little if any site preparation and are easily relocated as the needs of the school change. While multiple classroom buildings often require more site development, they do provide the look and feel of permanent facilities and are much faster and less expensive than actual site constructed school additions. They also can lead to a safer environment by allowing teachers and students to change classes while remaining in the same building for an entire school day. Individual classroom buildings can be designed and constructed to address requirements for computer and science labs, administrative offices, and specialty classrooms for all age groups. Exterior finishes can be as simple and low cost as R-panel steel siding, or as permanent looking as synthetic stucco or brick veneer paneling. The interior finishes are very similar to site constructed buildings including the use of T-grid ceilings, recessed lighting, vinyl covered sheetrock walls, and vinyl composition tile or carpeted floors. 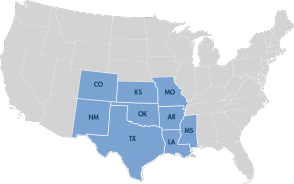 Custom multiple classroom buildings can also be designed, manufactured, and installed usually within a 60-90 day time frame depending on the site conditions and local permitting requirements. Ramtech returns to the 53rd annual TASB/TASA Convention again this year, a conference we have been participating in for the last 25 years. We will be represented by both Sabrina Queen and Bill Barron who will showcase our relocatable modular buildings and permanent modular construction capabilities for Texas public schools in booths 317 & 319 on September 27-28 at the Dallas Convention Center in Dallas, Texas. Since 1960, the Texas Association of School Administrators (TASA) and the Texas Association of School Boards (TASB) have partnered to bring school board members and school administrators the state’s largest education-related convention. Representing more than 6,000 public school officials from over 1,000 independent school districts across the state, the conference always provides an ideal opportunity for us to follow-up with our huge number of past customers as well as potential clients in need of portable classrooms, multiple classroom buildings, and permanent facilities using our Accelerated Building System permanent modular construction method. As the rebuilding effort continues for the West Independent School District in West, Texas, Ramtech publicly announced that we completed the essential instructional and support facilities that were required for the District’s middle and high school students to start the 2013 school year on August 26. The temporary campus is comprised of 28 structures including 17 new relocatable modular buildings that are located on the West Middle School site that was destroyed by the massive fertilizer plant explosion on April 17 of this year. Ramtech designed, manufactured, and installed the 69,776 square foot modular construction project which includes three 10-classroom buildings, four computer and science labs, two locker room buildings, an administrative office, cafeteria, band hall, and a life skills building. All of the buildings were built with a 26 gauge R-panel metal exterior, and have interiors that incorporate vinyl covered gypsum on the walls and vinyl composition tiles for the floors. We anticipate the special use facilities to be completed and operational prior to September 15. All of the modular school buildings for the $2.5 million project were leased through the Texas BuyBoard cooperative purchasing network and will be used for the next two years while new intermediate/middle and high schools facilities are constructed.